Riding in the snow is a lot of work. Freedom was really steaming when we came back from our ride. 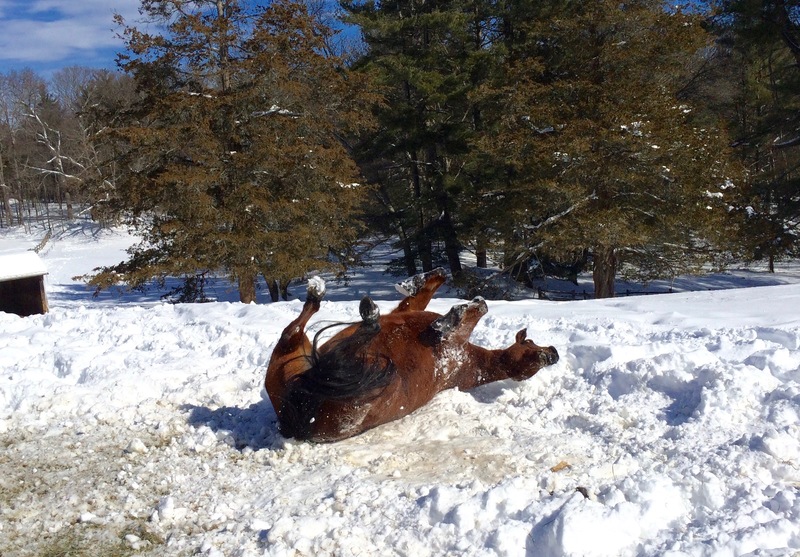 he could barely wait until I got his tack off before he had a good roll. It put me in mind of people who jump into the snow after a sauna. There is something very amusing about watching the horses roll! It must have looked pretty good because Willow had to roll in the same place! 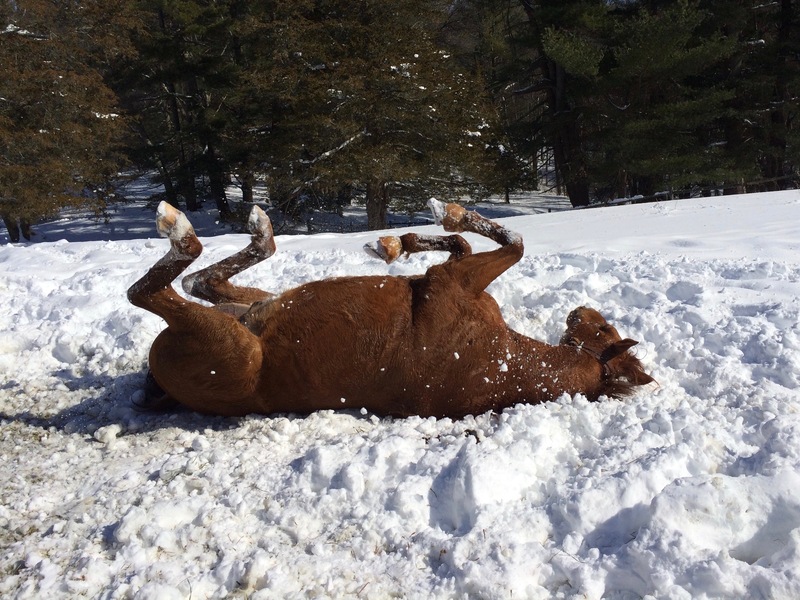 Why is it that horses find a special rolling place? Zelda always rolls after a ride but she took special pleasure in this one. She’s been wearing a blanket for the past few days so it must have felt particularly good to feel the snow on her back. Zelda does indeed look like she’s enjoying it! Zelda always rolls after a ride but she seemed to particularly enjoy the snow since she was pretty warm after her workout. 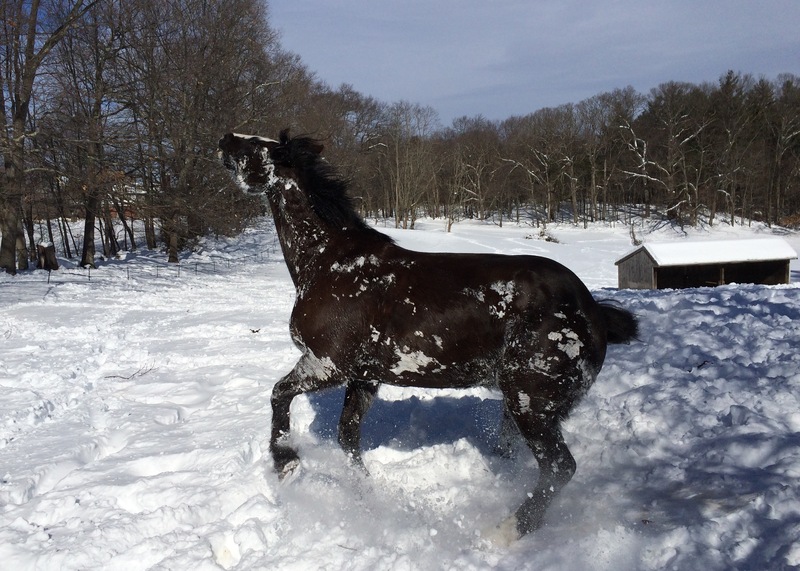 Cantering in the snow is a lot of work but she was quite charged up and excited!